Public Remarks: TWO SINGLE FAMILY HOMES WITH ENDLESS POSSIBILITIES!! You will not want to miss this! Both homes have private fenced yards. Currently rented through May of 2019 for a total of $2400. Front house is a 3 bed, 1 bath with a sun room, large living areas, huge eat in kitchen and offers plenty of storage throughout. 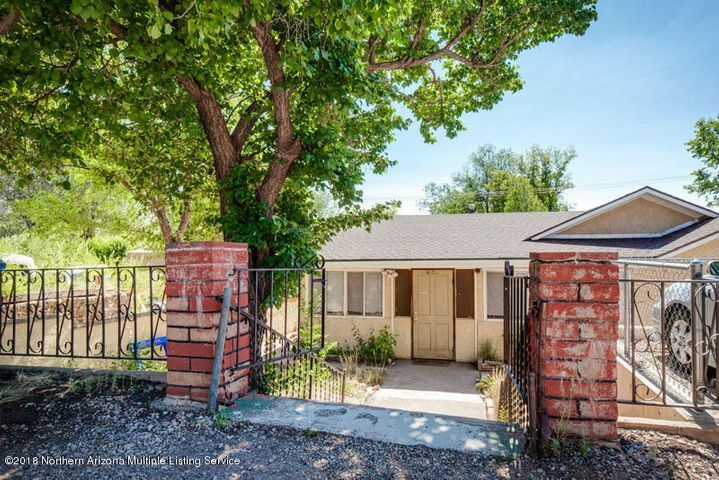 Back unit is absolutely adorable 1 bed, 1 bath home with delightful yard. Zoned commercially, this property is an ideal investment with a multitude of possibilities. Directions: From Arrowhead Ave, North on West Street. Located at West Street and Second Ave.